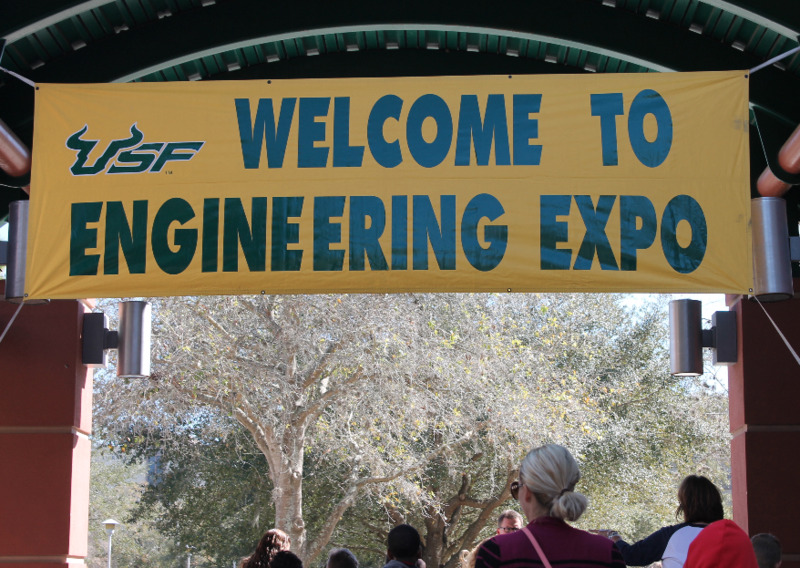 Flashing lights, fire and rockets will signal the 45th-annual USF Engineering Expo on Friday and Saturday. Engineering students, both undergrads and masters, have the opportunity to present a project they’ve worked on and help community members understand the science, technology, engineering, or math (STEM) principles behind the exhibit. Kayrol Leslie, the Financial Officer for the student-run Engineering Expo organization, said the event is an opportunity for engineering students to showcase skills they have learned in their classes to the community. 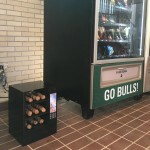 “(Students) have the opportunity to teach but also to learn, as they're developing their skills through the exhibits and projects that they create,” she said. 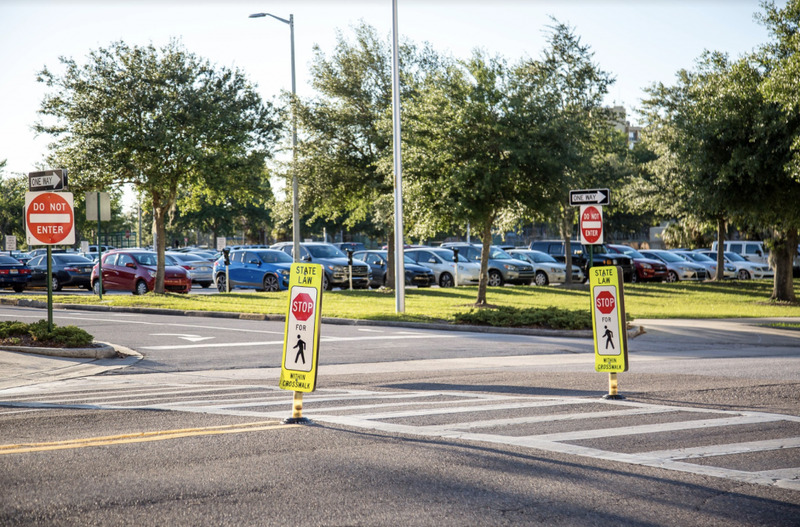 Teaching will be especially abundant on Friday, as school buses from as far as Miami-Dade County roll onto campus, bringing K-12 students to learn science in a new way. “Letting people experience science is a better way of teaching them science,” Janet Gillis, Communications and Marketing Officer for USF’s College of Engineering, said. On Saturday, non-school groups such as the Girl and Boy Scouts, homeschool groups and other community members will attend. Overall, event organizers expect almost 15 thousand people to visit on Friday and Saturday. “In previous years, we've had up to 20 thousand people on Friday and Saturday combined. Last year, we had about 15 thousand; this year we’re shooting for about the same,” Martín Bucheli, Engineering Expo President, said. The event is sponsored by 12 corporations, some of which will bring their own exhibits. Lockheed Martin will provide a virtual reality exhibit with headsets and simulators, according to Expo Director of Corporate Relations Victoria Poitier. Additionally, NASA, GE and X Labs will have displays, as well as other companies. Some exhibits change every year, but there are displays that keep visitors coming back, such as the laser light show presented by X Labs. The show has changed over the years as technology has improved. “As [companies] develop new technologies then those things are added,” Gillis said. Andrew Huff is a senior at USF and a member of the Society of Aeronautics and Rocketry (SOAR) at USF. SOAR’s exhibit will feature several different rockets. Huff hopes that the exhibit will help visitors understand that rocket science isn’t as intimidating as it may seem. “We love promoting STEM to young kids, and how it’s a great field to get into,” he said. Bucheli looks forward to the event and expects it to intrigue guests of all ages. “It’s just a fun thing to do where [visitors] can get excited on STEM and they can really have that little seed planted of curiosity, you know, making them want to come back and … kind of dig a little deeper in STEM,” he said.